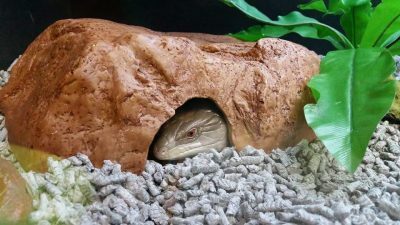 Our spacious, thermoregulated terrariums and vivariums come fully-furnished with ceramic food & water bowls, a water lagoon, hide logs, basking rocks & branches for climbing. All enclosures are equipped with heating & lighting specific to your reptile’s needs. Our thermoregulated turtle tanks come fully furnished with river rocks, drift wood, a floating dock, live plants, ornaments, ceramic heat lamp, a UV light and filters. Enrichment and mental stimulation is particularly important for active pet reptiles housed in enclosures. Reptiles in their natural habitat keep active by exploring new areas to obtain food, moving over different terrains, basking and water bathing. The health and safety of our guests is of primary importance to us, which is why all reptiles must receive a health check prior to staying with us. All reptiles staying with us will be provided with a high quality diet specific to their breeds’ requirements. 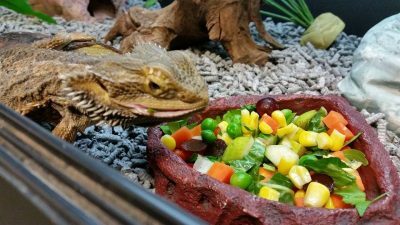 Lizards, such as blue tongues and bearded dragons will receive a variety of fresh fruit & vegetables, insects and a complete vitamin supplement on a daily basis. 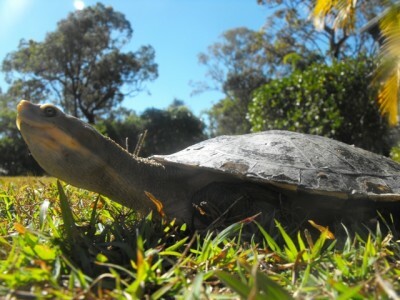 Turtles will be offered a combination of turtle blocks, blood worms, beef heart and pellets, all with added reptile supplement. Snakes will be provided with a diet that mimics their normal diet at home. We are more than happy to cater for any reptiles requiring medication or special care. We encourage all owners to provide their own enclosure in order to ensure their pet’s stay is as comfortable as possible. 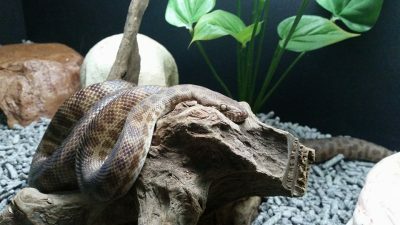 We do understand that this is not always practical nor feasible and therefore provide a range of reptile enclosures for hire. 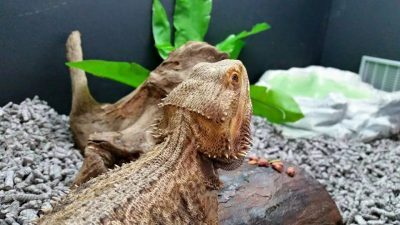 Our spacious, thermoregulated terrariums and vivariums come fully-furnished with ceramic food & water bowls, a water lagoon, hide logs, basking rocks & branches for climbing. All enclosures are equipped with heating & lighting specific to your reptile’s needs. Lighting and heating is maintained on a daily basis and UV lights are changed every 6 months. Our thermoregulated turtle tanks come fully furnished with river rocks, drift wood, a floating dock, live plants, ornaments, ceramic heat lamp, a UV light and filters. Lighting and heating is maintained on a daily basis and UV lights are changed every 6 months. Enclosures, feed and water bowls are cleaned thoroughly with F10 disinfectant at least once daily.